Hurricane Sandy hit the east coast on October 29, 2012 with a vengeance. Many communities suffered wind, water and fire damage. 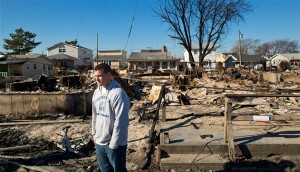 The Breezy Point neighborhood in Queens, New York was no exception. Although busy at school with exams, papers and baseball, Matt managed to run the fundraiser and coordinate volunteers. A few days after it started, he reached $10,000 in donations. By Thanksgiving morning, nearly 1,400 donors drove the amount to over $78,000. A board of volunteers has been set up to operate the disaster relief fund. Lawyers and accountants volunteered to help Matt set up a nonprofit which was approved by the IRS. Volunteers from across the country have stepped up to give a week or two to help Queens recover. Once again, we see the results of one person taking action. The “power of one” is not just an old cliche or worn-out phrase. It’s alive and well in Breezy Point. Matt, you’ve earned our admiration and we wish you and your family the best. 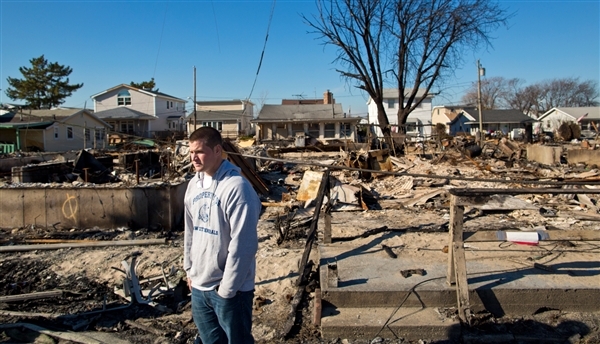 To make a donation to the Breezy Point Disaster Relief Fund, click here.